Chief Minister Prem Kumar Dhumal launched the mobile based reporting for Health Management Information System (HMIS) Mother and Child Tracking System in the State of Himachal Pradesh by speaking to female health worker Archana, posted in Sudher Health Sub-Centre in Shahpur medical block of district Kangra and simultaneously the scheme was launched in Sujanpur block of district Hamirpur and Sairi block in district Solan on pilot basis, thereby adding another milestone to upgradation of health monitoring system in the State. Addressing the prize winners of outstanding performing Gram Panchayats at the State Level Prize Distribution Function of National Health Insurance Scheme at Dharamshala, , Chief Minister announced inclusion of MNEGA workers, who had worked for a minimum of 15 days in a year, construction workers, 70 percent handicapped, domestic servants, way side vendors would be eligible for Health Insurance Scheme benefits by paying a premium of Rs. 30, as was applicable to the BPL families in the State to be made effective from March 1, 2012 in the State. He said that with the inclusion of the more categories of the sections of the society would be eligible to draw various benefits under the scheme to make the society strong and healthy. 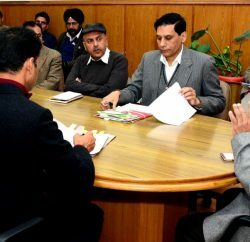 Chief Minister said that first phase of Rashtriya Swasthya Bima Yojna (National Health Insurance Scheme) was launched in the districts of Shimla and Kangra in year 2008-09 to issue smart health cards to the BPL families and 80,242 smart cards were issued. He said that the State ranked first in the country for issuance of smart cards and was honoured with National Award. He said that Second Phase of the scheme was launched on March 1, 2010 and 2,35,131 families issued smart cards which was 81 percent and highest in the country which also won the State National Award. He said that in year 2010 District Hamirpur ranked First, Bilaspur Second and Kinnaur third in issuance of smart cards during year 2010 besides respective District Rural Development Agencies which had too been awarded for their outstanding achievements. Chief Minister said that against the national average of 47.43 percent of issuing smart cards to 2,56,71,740 of 5,39,09,917 BPL families in the country, the State issued smart cards to 2,35,131 of the 2,90,986 BPL families in the State, which was 81 percent, highest in the country. He said that during the First Phase of the Scheme 61,392 smart card holders had availed the benefits during the period from March 1, 2010 to February 28, 2011 and financial claims of Rs. 2512.47 lakh filed. He said that under second phase upto November 30, 2011, 31,287 card holders’ availed benefits and claims worth Rs. 1258.49 lakh filed with the Government. Chief Minister said that the Atal Swasthya Sewa had emerged a boon to the poor and needy critically ill patients who were being transported to the nearest hospital free of cost and appropriate treatment ensured to them even inside the ambulance while travelling. He said that free institutional delivery facility was also available to the pregnant women in the state who besides free treatment were also being provided with cash incentive of Rs. 600. He gave a clarion call to the public representatives to take welfare oriented schemes to the villages and to the last person in the queue so that the socio-economic upliftment process was started from the lowest level. Chief Minister said that the State Government was providing cash prize of Rs. 50,000 to the panchayat ranking first in 100 percent preparation of smart cards, Rs. 25,000 to the second and Rs. 10,000 to the third ranking panchayat, thereby providing cash prize of Rs. 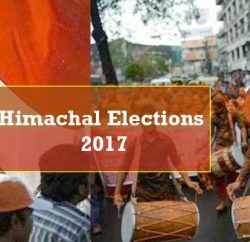 85,000 to each district, He said that 134 panchayats had achieved cent percent targets which would be getting the cash prizes. He underlined the need to ensure that Smart Card process was completed in other remaining districts of the State as well so that all 3,243 panchayats were benefitted under the scheme. Chief Minister presented bank drafts of the prizes to the representatives of gram panchayats, deputy commissioners, Project Officers, DRDA, CMOs, health workers who had done outstanding work in the respective field. Chief Minister congratulated the Department of Health and Family Welfare for their outstanding performance in health sector during past four years which had been instrumental in making Himachal Pradesh a role model in health sector in the country. Medical services as the hospital had only scanty medical specialists. He said that despite the unfairly withdrawn special industrial package to the State by the Government of India, the State had been successful in continuously attracting vast industrial investment in industrial sector and generating vast employment avenues to the educated unemployed youth. He said that large number of entrepreneurs were showing keen interest in investing in Himachal Pradesh. He said that the State Government was pursuing the cement companies to reduce retail cement price in Himachal Pradesh. Dr. Rajiv Bindal, Health and Family Welfare Minister, thanked the Chief Minister for providing guidance to the Department to launch various ambitious health care schemes in the State. He said that Hamirpur district had ranked at the top in the country by achieving 94.50 percent achievement in the institutional delivery and state average was now at 70 percent against the earlier percentage of 51 percent. He said that 39 life saving drugs were being provided free to the BPL patients and number of AIDS victims reduced considerably. He said that a strict check had been put on pre-natal tests resulting into increase of girl child which stood at 906 against 1000 boys in the country. He said that 262 smart card holders were availing health care benefits against 1000 cards compared to 110 at the national level. He detailed other achievements of the department under different programmes launched during past four years. Dr.D.S.Chandel, Director of Health and Family Welfare, welcomed the Chief Minister, and detailed various activities under implementation in the State to make Himachal Pradesh, a leading state in health sector in the country. Rakesh Kanwar, Managing Director, National Rural Health Mission apprised the audience of the fresh initiatives being taken by the department by updating the communication system. Dr.K.S.Dogra, Chief Medical Officer Kangra, proposed vote of thanks. Ravinder Singh Ravi, IPH Minister, Ramesh Dhawala, Food, Civil Supplies and Consumer Affairs Minister, Sarveen Chaudhary, Social Justice and Empowerment Minister, Capt. Atma Ram, Vipan Parmar, Sanjay Chaudhary, Praveen Sharma, MLAs, Shreshta Koundal, Chairperson, Zila Parishad, Kamla Patial, President, Municipal Council, Dharamshala, senior officers of different departments and prominent people of the area were present on the occasion.